Custom printed liner options with your company information printed. Tape on a CD envelope for easy application into books and manual. Taping on a commercial flap. Envelope should be printed before tape application. 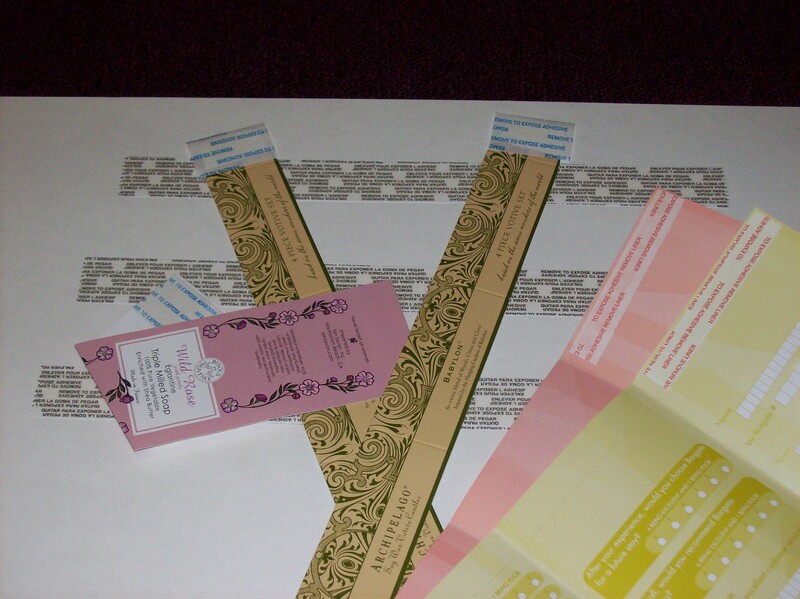 Taping for paper bands, hang tags and product wraps. Pressure Sensitive adhesives are used in the tape application process, called Peel and Seal, Stick and Tack, or Transfer tape. Our in-line process of making tape is more economical and efficient than traditional transfer tapes. Custom printing or sizes are also available please contact us for more information. Note: in some instances transfer tapes are recommended depending on the end use of the product, so please review the tape options. Cold Glue and Hot Melt are standard, while transfer tapes are ordered on a job basis to insure the best quality seal and shelf life. 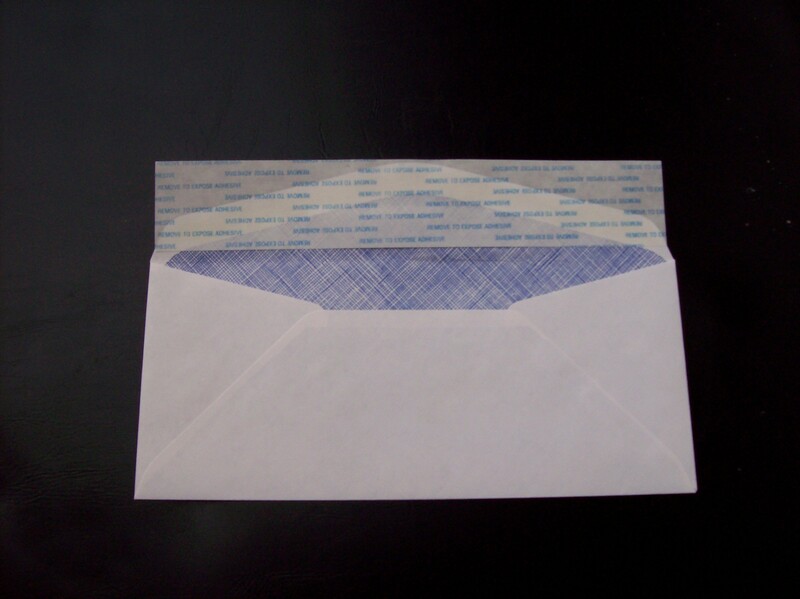 Cold Glue application is standard for most envelopes and sheets and can be applied in a pattern to follow a flap or die lines. It is a permanent bonding adhesive that works well for most paper under 7pt. Anything heavier should have Hot Melt applied. 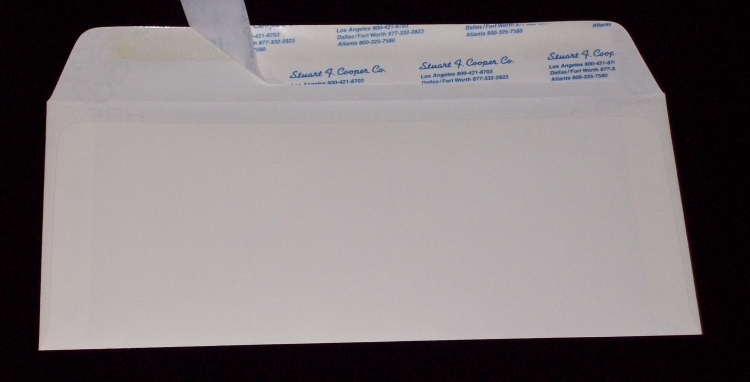 Note: Envelope flaps less than 3” in length can be opened and re-closed automatically during the tape application. Hot Melt application is more aggressive and used with heavier bond paper or coated stock. Currently used in most 14pt. C1S coated stocks where high is needed. 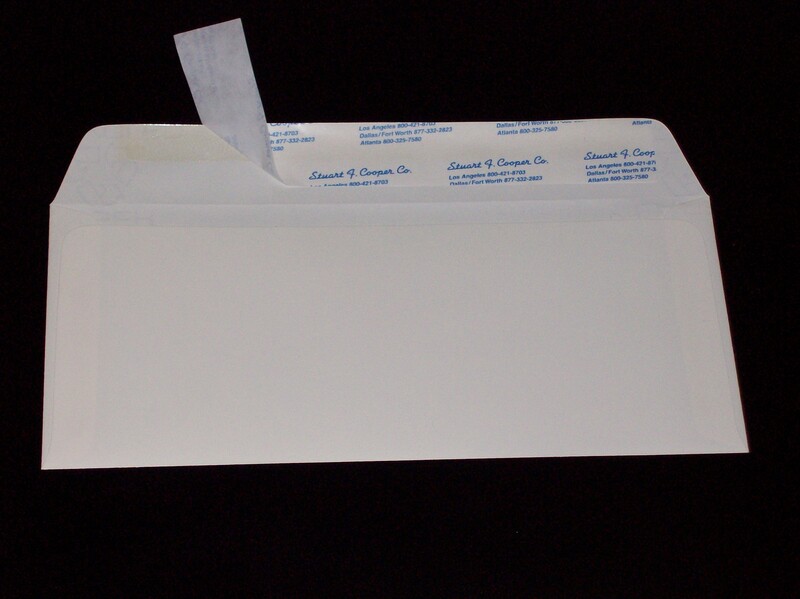 Note: Envelope flaps less than 3” in length can be opened and re-closed automatically during the tape application. Permanent Clear Transfer tape has an un-supported (non-tissue)adhesive system with a high initial tack. Recommended where the permanent adhesion of lighter weight stock is required. Supported Permanent Transfer tape has an aggressive adhesive system that is tissue supported. Recommended where high adhesion strength is required. Examples of the use are heavier mounted displays and cartons. Hi/Low Transfer tape is a clear, double-coated polypropylene substrate. 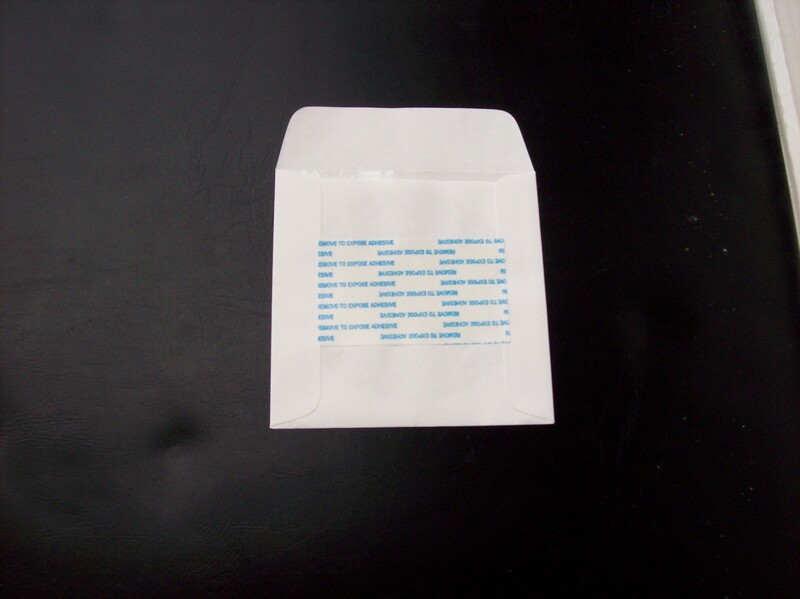 A strong, clear adhesive to permanently bond to the printed piece on one side. When liner is removed, a mild removable adhesive is on the other side. It will not leave residue on glass, metal, plastic pr varnished woods. Clear Supported Permanent tape has an aggressive adhesive system that is tissue supported. Recommended where high adhesion strength is required. Used in heavyier displays and cartons and especially when print being covered is of concern. Clear Reinforcement Transfer tapes permanently bond to the applied sheet but are not tacky on the outside. Used as reinforcement to holes in 3 ring binders and various binding inserts.